Package contains (1) Fantasma Spectacular Magic Set With over 135 Amazing Tricks including collectible tin, zig zag lady with 2 cards, psychic card deck, magic puzzle cube, box and shell, magic card box, 2 gold cards, secret levitation gadget, magic bottle, sliding tip wand, instruction video download, and Book of Secrets. 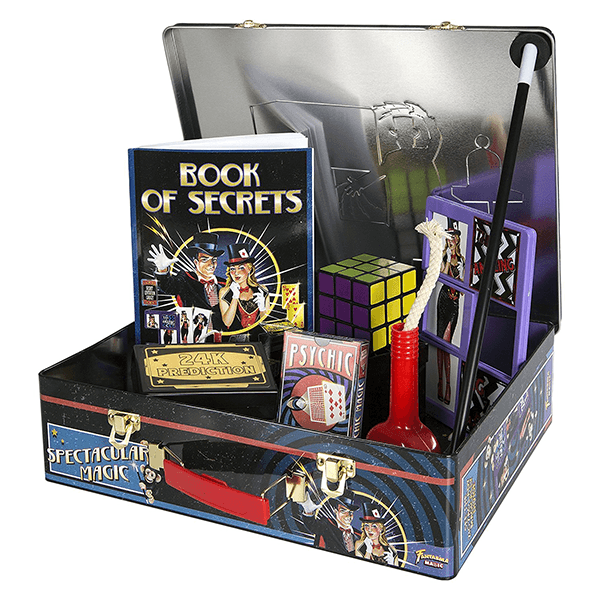 This Spectacular Magic Set from Fantasma comes with everything you need to perform over 135 tricks. The illusions are easy to learn and come with a Book of Secrets to guide you through all the steps of becoming a great magician. Your sleight of hand will blow away audiences and draw crowds from everywhere. Open up the cool tin retro case and you have a splendid show at your fingertips. Not only is putting on a performance for both you and your audience, but it helps build many useful skills. Magic play can improve hand eye coordination, public speaking skills, and self-confidence. Perform lots of illusions including: Change one card into another, vanish a card and even restore a torn card with the Magic Card Box, instantly unscramble a scrambled Puzzle Cube, make any small object float in mid-air with our Secret Levitation Device, take a bite out of a cookie.... And immediately restore it, and many, many more! Fantasma Toy's is honored to be the only toy company endorsed by the International Brotherhood of Magicians, the world's largest professional magicians' organization. 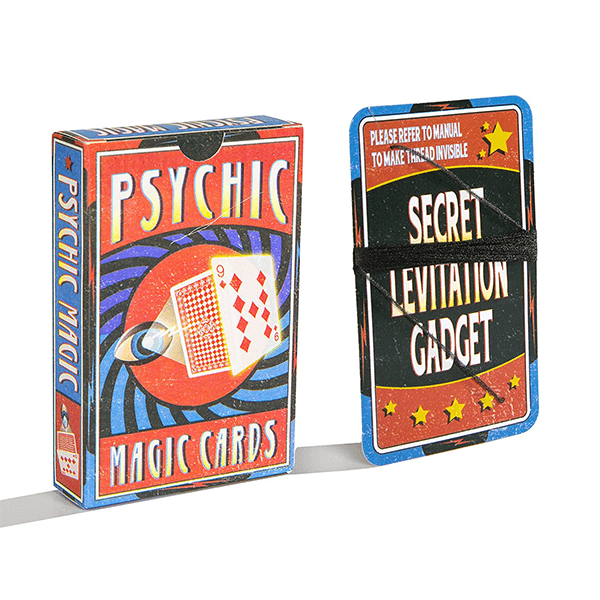 If You Liked Fantasma Toys Most Spectacular Tricks Tin, See More Related Products Below!